Earn 883 points to spend on future purchases. ADVANCED AUTOSET DESIGNED EXCLUSIVELY FOR WOMEN! ResMed's AutoSet For Her algorithm is proven to provide effective therapy, at the lowest pressure levels, on a breath by breath basis throughout the night. The updated algorithm for women takes into account the higher instances of flow limitation, often seen in women with sleep apnea, and tailors therapy pressure levels and changes to suit. AutoSet For Her monitors your breathing and, when it detects flow limitations, it gently increases pressure until the event has cleared. 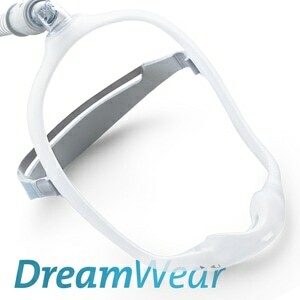 After an event AutoSet For Her decreases pressure again to improve overall sleep comfort. In addition, AirSense 10 AutoSet For Her differentiates between obstructive and central apneas so you'll always be sure you're getting the appropriate therapy for your changing needs. 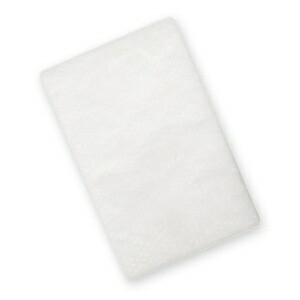 AirSense 10's whisper quiet, Easy-Breathe motor makes for a peaceful environment for you and your bed partner. In addition AirSense 10 AutoSet For Her has an ambient light sensor that adjusts the brightness of the screen based on the amount of light in the room. So if you get up during the night and need to pause your therapy, the screen will stay dim so it doesn't disrupt your partner. The screen's back light also turns off automatically to help you fall back to sleep without disturbance. AirSense 10's AutoRamp feature with sleep onset detection helps make therapy comfortable from the moment you turn on your device. AutoRamp works by delivering a low pressure to help you fall asleep with ease. Once it detects youre asleep, it comfortably increases the pressure to ensure your prescribed level is delivered the moment you need it. AirSense 10 AutoSet For Her's onboard "Sleep Report" is a valuable tool letting you know how your therapy is progressing each day. In the Sleep Report you can view usage hours, mask seal indicators, humidification indicators, events per hour of use, average usage hours, leak rate, and AHI. The AirSense 10 AutoSet also includes central sleep apnea (CSA) and CheyneStokes respiration (CSR) detection to provide treating physicians valuable insight into the continued health of your patients. AirSense 10 AutoSet For Her comes with an SD Data Card pre-installed in the unit. In addition built in wireless communications mean that you and your doctor can work together to ensure your treatment is progressing successfully. Like your own sleep coach, ResMed's new optional online program, myAir, provides support during every stage of treatment. By giving you access to your therapy data, it lets you continually track your progress and see how well youre doing. Emails or text messages can also provide helpful education and encouragement to support you along the way. As you mark your successes and celebrate your milestones with awards and badges, youll stay motivated to keep going. Patients can view their sleep data from the previous night using the myAir dashboard. Intuitive icons and charts make the dashboard simple to understand and follow. In the Package AirSense 10 AutoSet For Her, Built-in HumidAir Humidifier, Standard Humidifier Chamber, SlimLine Breathing Tube, Universal Power Supply with Cord, Travel Bag, Starter Filter, Filter Cover, SD Data Card, Printed Users Manual. Additional accessories including ClimateLineAir Heated Tubing and Long Life Chambers included depending on selections at checkout. 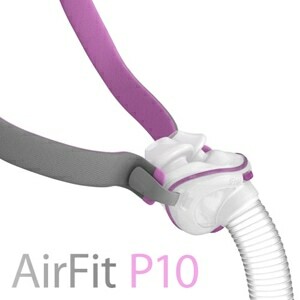 AirSense 10 AutoSet For Her is FAA Approved. This product is approved by the FAA for use on all commercial flights within the US and all international flights that depart or arrive in the US. Click here for TSA / FAA information on traveling with sleep and oxygen therapy. Always contact your airline prior to your flight to confirm any requirements they may have (i.e. a copy of your prescription or a letter of medical necessity) for allowing your device on board. Alarms On Screen Messages Including High Leak Detected, Water Tub Not Inserted Properly, Air Tubing May Not Be Connected Properly, Mask May Be Fitted Incorrectly, Tubing Blocked, System Fault, Air Filter May Be Blocked, etc. Tubing Compatible with all Standard, Performance, Slim Performance, SlimLine, and ClimateLineAir Heated Tubing. 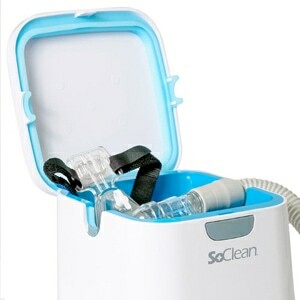 Data Included 365 Days of Summary Data; Variable Amount of Detailed Data Including Usage Hours, Events (AHI) Per Hour, Mask Seal, Humidifier Functionality, Days Used, Days Used More Than 4 Hours, Average Usage, Used Hours, Average Pressure, Leak Rate, AHI, Total Apnea Index, and Central Apnea Index. The machine did not work with my original mask - Dreamweaver (cloth). Once the air pressure ramped up, it would start whistling loudly. I had to switch masks. 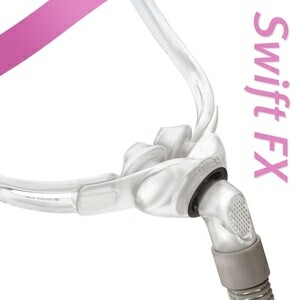 Now I have a Swift Fx made by ResMed as well. The whistling stopped, but the air intake noise is still bothersome. I remedied this by placing the machine inside my open bedside drawer. The noise is no longer an issue. Other than those two challenges, the machine has worked like a charm. It ramps up when I need it to and remains on a low level when I don't. This is perfect for me because I suffer from asthma. On the nights I have more breathing challenges it ramps up and keeps me asleep. I love the on-line AirSense management tool. The machine sends the signal out, automatically. I just wish it would allow me to see the pressure ranges through the night.